CLP award winner discovers new species and lands prestigious science award. The cloud forests of northern Oaxaca, a state in southern Mexico, are home to many species of tree frog found nowhere else on the planet. These endemic species, as with other amphibian populations across the globe, are threatened by climate change, habitat loss and spread of the deadly chytrid fungus. Amphibians are an understudied group in Mexico and Dr Edna Leticia González Bernal has been working hard to research and conserve them with the support of local communities. The Conservation Leadership Programme (CLP) was delighted to join Edna on her journey last year when we awarded her team a CLP Future Conservationist Award. Even before she applied to CLP for project funding, Edna started connecting with the CLP network via our Alumni Ambassador programme. 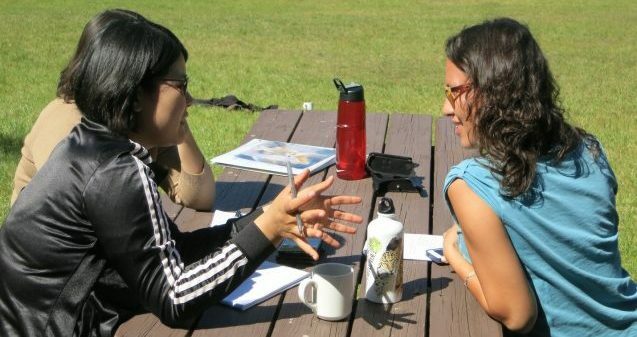 Through this initiative, former CLP grantees volunteer to provide feedback to current applicants on their project proposals. Edna later revealed how the tips and advice offered by one of our Ambassadors helped shape not only her project, but also her view of grantee-donor relationships. 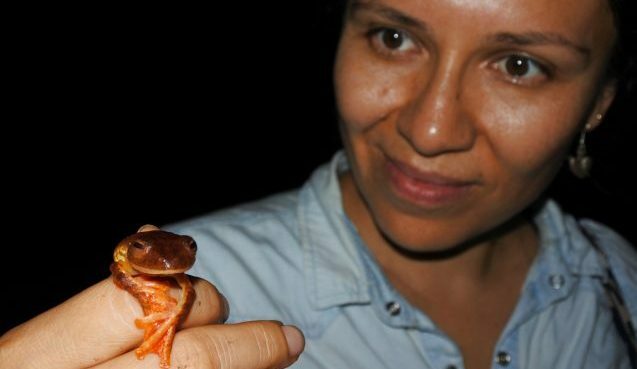 Subsequently her team was awarded CLP funding to deliver the 2016 project, Preventing the disappearance of three frog species from Oaxaca, Mexico. Following the training course, Edna and team undertook amphibian population surveys in unexplored areas with the aim of rediscovering species, testing for the presence of chytrid fungus, and gathering baseline data to estimate the population density for several species. The project was designed to involve local community members in a monitoring programme, thereby enabling communities to learn about the value of amphibians and as well as ensuring that data collection could continue into the future after the project ended. The ultimate goal was to increase the scientific and social knowledge about amphibian species in the area and contribute new information that can support the maintenance of an "indigenous and community conserved area" (ICCA). During its fieldwork, the team came upon a frog that it was unable to identify. 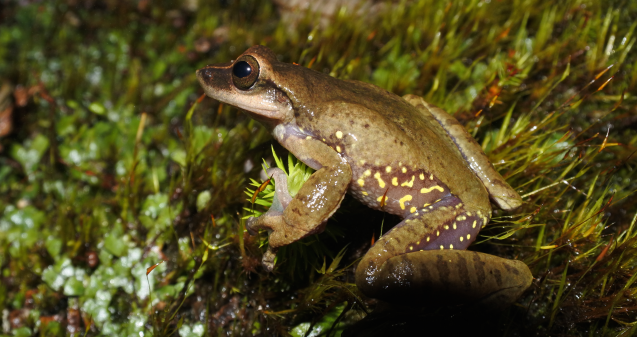 After further research and documentation, the team published its discovery of a new species – Charadrahyla esperancensis – in the peer-reviewed scientific journal Zootaxa. All frogs of the genus Charadrahyla are endemic to Mexico; this discovery brings the number of known species in the genus to seven. This species has a protruding snout and yellow spots on its limbs. It seems capable of travelling relatively long distances, behaviour that can actually put it at risk; frogs can be killed by cars as they cross busy roads on rainy nights. The species also faces potential threats from climate change, habitat fragmentation and chytrid fungus, which can cause, among other symptoms, missing mouthparts in the tadpole stage. The team has named this new species "La Esperanza frog", firstly to give recognition to the conservation activities of the local community (La Esperanza) and secondly to show that, despite the crisis they face, there is still hope that we can conserve amphibians, discover new species and even rediscover species that are presumed extinct; in Spanish, “esperanza” means hope. If her team’s discovery of a new frog species was a major milestone for Edna, so too was the news that she herself had been selected to receive a prestigious 2017 L’Oréal National Fellowship Award for Women in Science in recognition of her recent achievements. Edna’s enthusiasm and commitment to her work are evident in L’Oréal’s video feature. As her remarkable conservation journey continues, we will be following Edna’s progress with great interest and look forward to reporting on where her path leads.